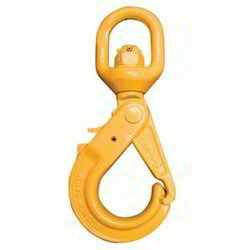 Our company is engaged in providing an Industrial Hooks to our valued customers. These are manufactured using premium quality raw materials. Our range of products includes Ratchet Hooks, Pulley Block Double with Hook, Pulley Block Single with Hook, Pulley Block Triple with Hook, Double Part Hook Type and Lifting Hooks. 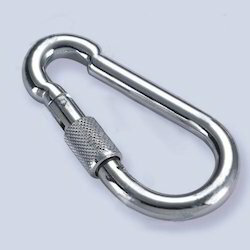 Our customers swear by the effectiveness of our Double Part Hook Type. We have achieved excellent internationally acclaimed qualitative parameters, ensuring that client specification, and internationally approved stringent quality measures are adhered to at all stages of the manufacturing process. 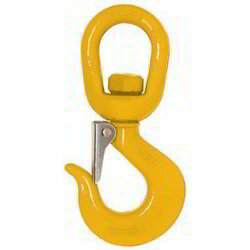 We are experts at offering Clevis Chain Shortening Hook. 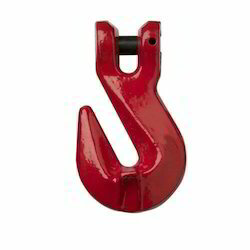 Our Ratchet Hooks are known for their accurate and precise manufacture. We manufacture and supply supreme quality Swivel Eye Hooks that is designed in order to meet the specific requirements of our clientele. 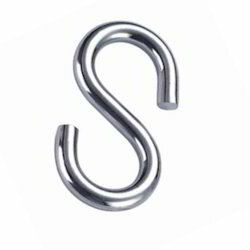 We have been able to manufacture an extraordinary variety of 'S' Hook. Just being the leading light in the automobile component sector is not enough. We firmly believe in the quality of service, product and Documentation. 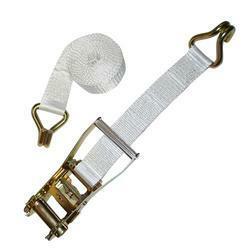 Our Hooks with safety latch are known for their accurate and precise manufacture. We have emerged as front-runners when it comes to manufacturing and supplying Snap Hooks. With quality and customer satisfaction as our forte, we develop products as per the client's specifications spread at every corner of the globe.